When visitors think of northern Colorado, two seasons come to mind: summer and winter. But there’s a great time to visit after the music concerts and festivals of summer have ended and before snow-packed activities of winter begin. 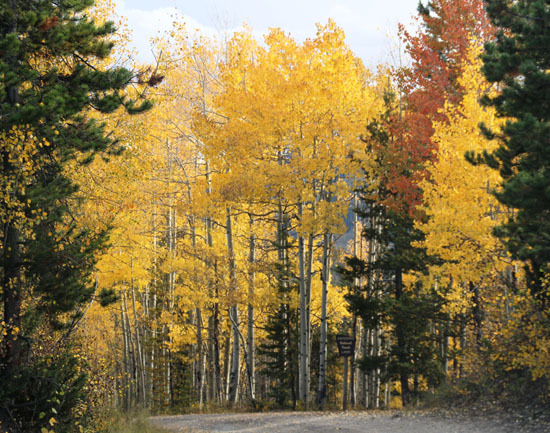 If the opportunity to savor the scenery and hike or bike in relative serenity is more your style than shuffling through crowds, consider visiting towns in Grand County during the fall. Fall is an absolutely glorious time to enjoy the amenities—natural and manmade--of the Winter Park-Fraser Valley region, located 65 miles west of Denver. 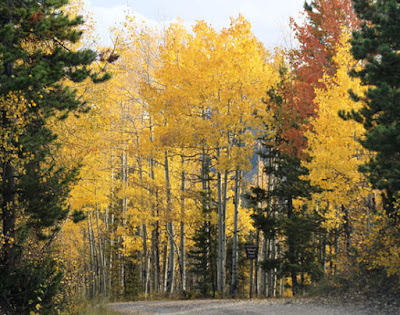 Golden aspens glow in the sunlight during late September when temperatures are cool in early morning and shirt-sleeve warm in the afternoon. There’s still time before snowfall to enjoy the lakes, either boating or fishing, or to check hot-air ballooning off your bucket list. 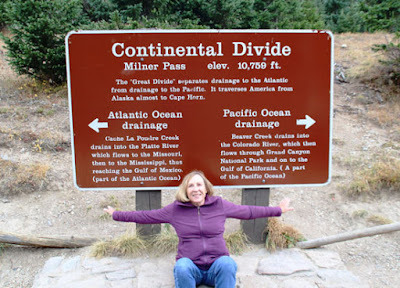 Arrive in Grand Country from Denver by driving Berthoud Pass, a scenic highway that twists and turns its way through thick forests and past gushing waterfalls, summiting at the Continental Divide. There’s a reason the region is called “Mountain Bike Capital U.S.A. It doesn't matter if you are a serious gear head or just interested in seeing the mountains in a new way, there are 600 miles of mountain bike trails that will satisfy beginner to expert bikers. Saddle up. 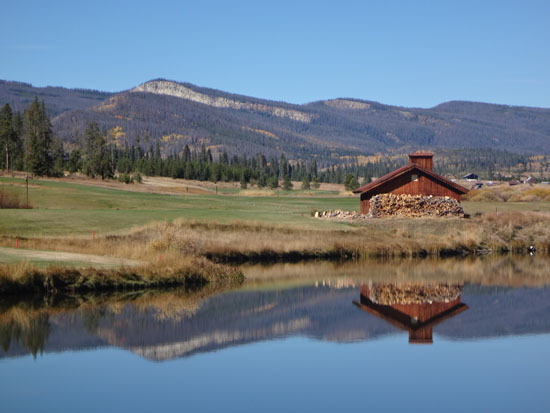 In Grand County, horseback riding isn't just a hobby — it's a way of life. 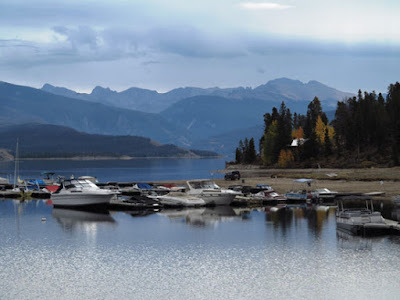 Grand Lake offers many recreational opportunities. Sail on Grand Lake, Colorado's largest natural lake,which is known for spectacular views of peaks in Rocky Mountain National Park. Spend a night outdoors and get reacquainted with nature at one of Grand County's many public campgrounds. Play a round at Pole Creek Golf Club in Winter Park, which has 27 holes on three courses. You’ll love how your game improves in the thin air. Golf balls not only travel further at higher altitude, but they spin less, too, meaning straighter approach shots (in theory anyway!). scenery on the golf course this beautiful to grab your attention. Paddle a canoe or kayak or cast your line on Monarch Lake, a small, scenic lake at the foot of the Indian Peaks southeast of Lake Granby (which is also a great fishing spot). On some days, your only competition for fish will be nesting ospreys. 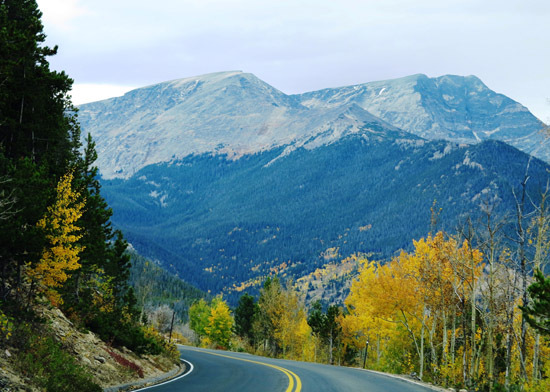 drive in fall--before it's covered with winter's snow. Head to Rocky Mountain National Park and drive Trail Ridge Road. It’s a postcard in your windshield, a breathtaking view at every turn. Hike trails along the way, or bike down Trail Ridge Road when it is open. season in Winter Park, Colorado. 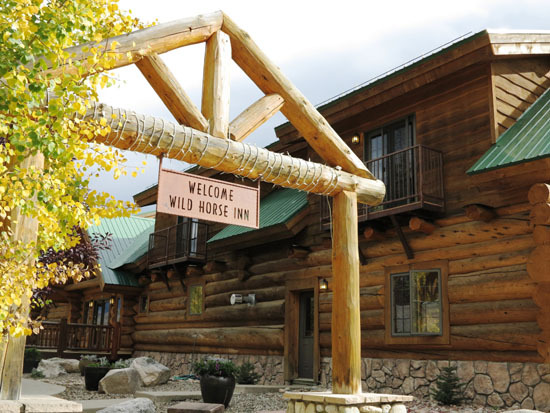 On the other hand, if your idea of the perfect vacation is peaceful relaxation in a rustic setting, check into Wild Horse Inn, an intimate bed and breakfast just outside Winter Park. A little further down the road you’ll find the larger Devil’s Thumb Ranch Resort and Spa with more amenities—a great place if you prefer restful fun with a bit of zing for your holiday. Think of Grand County as a four-season destination, with lesser-visited late spring and fall among the most glorious times to arrive.